Among frequent travelers, Europe has developed a bit of a reputation for being amazing, but expensive. True, you’re not going to find prices comparable to Laos or Guatemala here, but with roughly 50 countries, Europe is absolutely home to hidden (and not-so-hidden) gems that you can enjoy for prices far less than the famously high costs of London or Stockholm. To help inspire everyone (including ourselves!) to think outside the box for their European bucket list, we got together with twenty other travel bloggers and asked them where they would go in Europe with a maximum budget of $40/person/day. 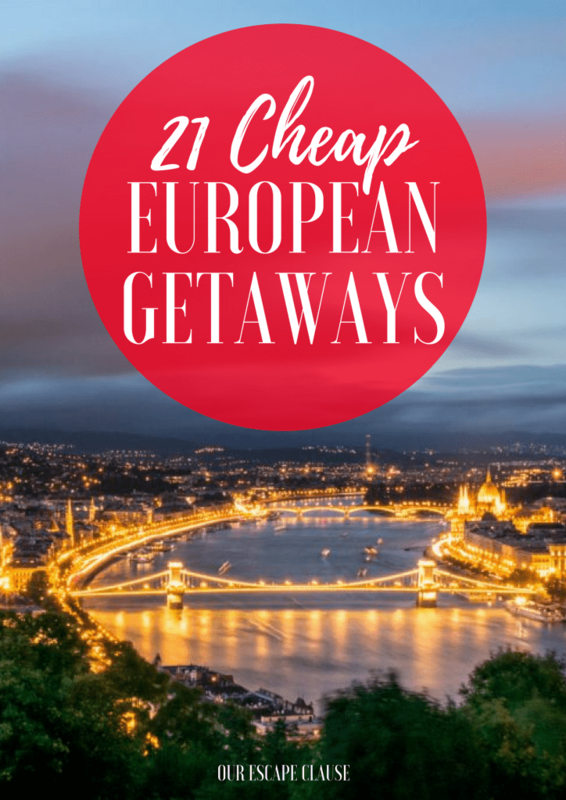 The answers include affordable European getaways from all corners of the continent: true, Central and Eastern Europe are better represented than Western Europe, which is not surprising, but some Western European destinations did sneak in as well. Cortona, Italy is pure magic placed between Rome and Florence. 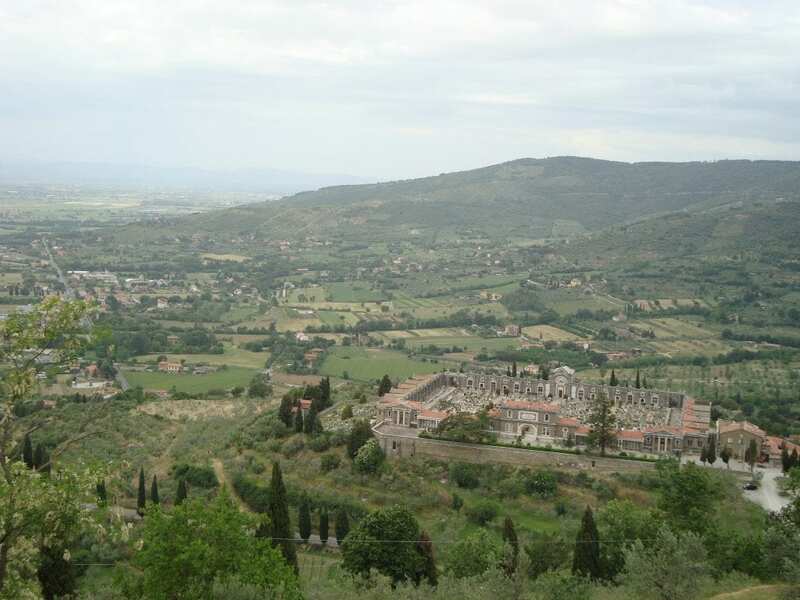 This small town is situated on a hillside overlooking the Tuscan Valley! This is the setting for Francis Maye’s novel “Under the Tuscan Sun” where she sold everything to purchase her beloved home, Bramasole. If that is not enough to entice you, the people are the friendliest of anywhere in Italy, which is uber hard to beat. The Piazza Signorelli in the city center holds a weekend market that rivals major European cities! Everything is within a steep walking distance of each other and the food is otherworldly. We stayed at an Airbnb where we rented a spare room from a young family. This cost us $60 per night. Breakfast consists of a croissant and an espresso for about 3 euros. The average lunch consists of a sandwich or small pizza for about 5-15 euros. Dinner will run you about 20-35 euros and the house wine is usually cheaper than bottled water. Do factor in taxi services to take you down the mountain through the town of Camucia, this is where the train station is. A taxi will cost you about 10 euros depending on the weather and time of year. There is a bus that runs every hour if you have the time and patience to wait on it, we did and only paid 1 euro. 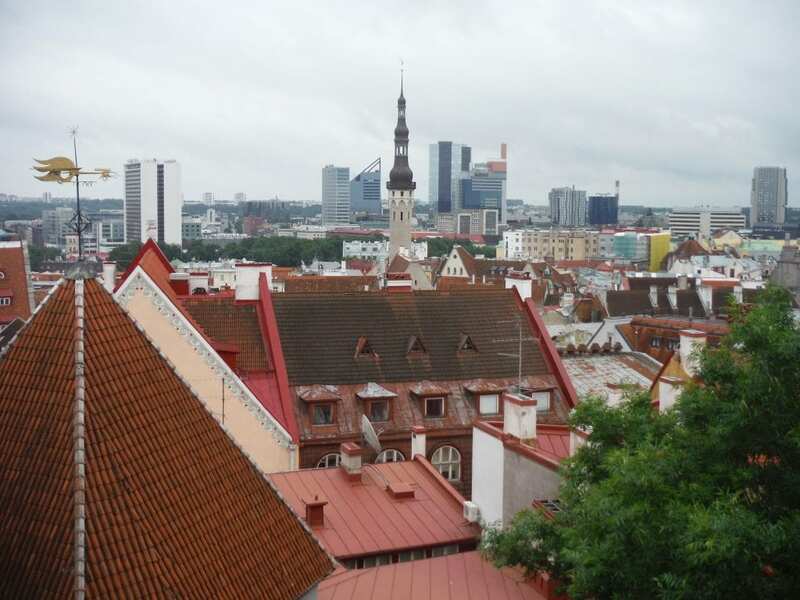 Tallinn is a beautiful and cheap city to visit, and I absolutely adored it–this coming from someone who detests cities! The old town takes you back in time and is an amazing experience. Climb to the top of the hill and see the old rooftops of the old town with a backdrop of modern sky rises–it’s a trip for sure! Hostels were cheap at around 10 euros per night, and the food was ridiculously inexpensive. You can check out Patarei Prison, an abandoned Soviet-era prison, for just a couple euros too! In the town square of the old town, they often have things like free open-air concerts, which you can watch from one of the many bars located in the area. A top-rated Airbnb apartment for 2 people only costs about $25-40 a night. 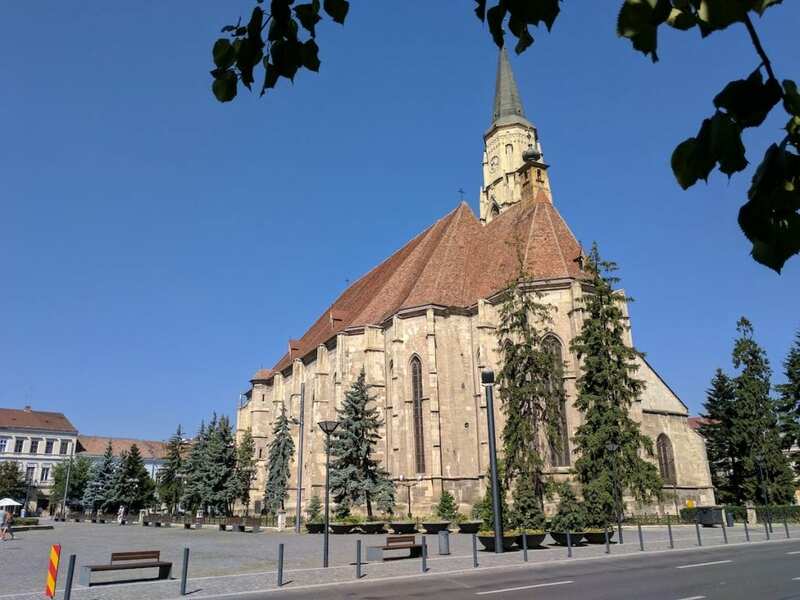 Eating and drinking in Cluj-Napoca is very affordable as well. Breakfast from a little bakery might be only $1-2. A sit-down lunch or dinner is usually $5 or less for an entrée and a beer or cider might cost you $1 more. A large pizza is about $4. Many attractions are free, and the ones that aren’t are very reasonable. The botanical gardens are less than $2 to visit. 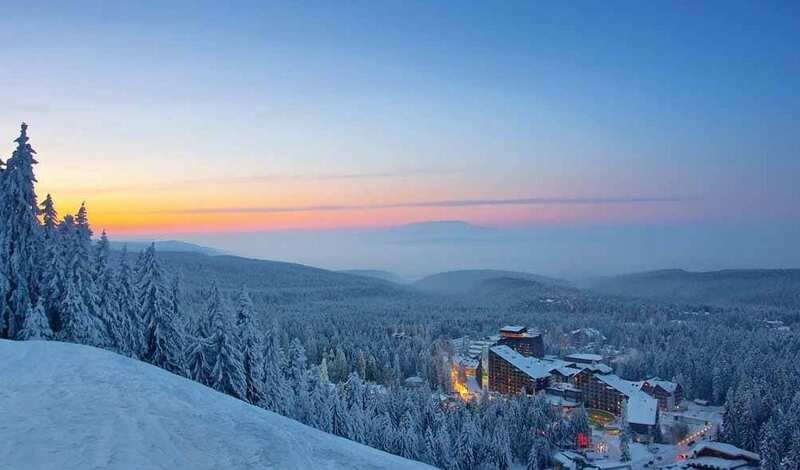 Ideal for summer or winter breaks, the small town of Borovets in Bulgaria is perfect for outdoorsy adventurers. I loved taking our children skiing down the mountains, snow-shoeing through pine forests and watching little ones play in the snow park. In summer, naturalists can enjoy bear watching excursions and visits to mountain lakes. There are also regular trips to the Bulgarian capital of Sofia for those who fancy a day in the city. The town has a great variety of accommodation from budget to luxury, but generally, food and entertainment are extremely cheap. A traditional lunch sets you back around £5, while dinner at a tavern comes to £10. International restaurants change slightly more but personally, I would pick the hearty Bulgarian food any day! There are also small supermarkets if you prefer to self-cater and these are exceptionally budget friendly. Hotel rooms start from around £20 although flat shares can be cheaper. Bulgaria is a perfect European town to visit if you are looking for a good time without blowing the bank! When most people think of the Algarve, they tend to think of beaches, high rises, and intoxicated holidaymakers. And yes – the coastal parts of the Algarve can be like this, especially during summer. The rural Algarve is different, however. Where there are tourists, they are generally walkers, surfers, and nature lovers – oh, and the occasional nudist. 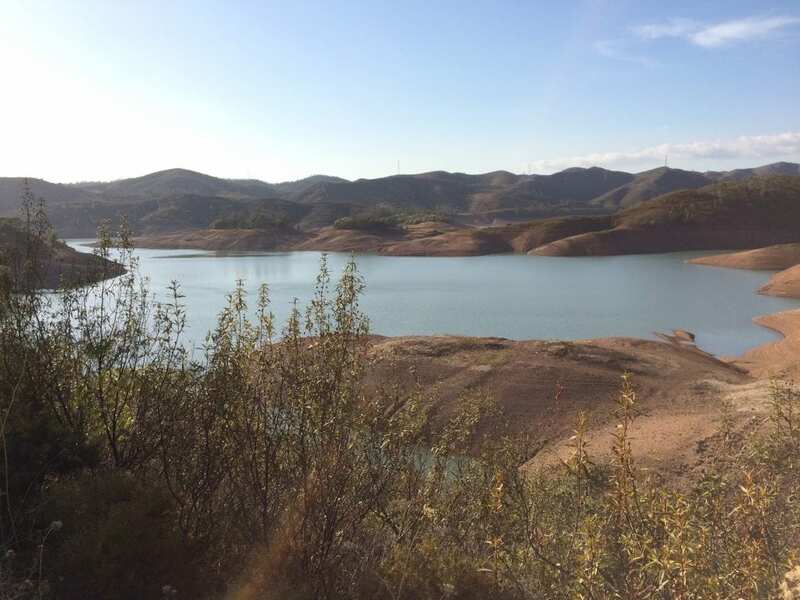 Outside of the hottest months, the Algarve is a fantastic walking region, with numerous short walks and several multi-day hikes like The Algarve Way and the Fisherman’s Trail. Cost-wise, it’s also very affordable. A room on Airbnb averages between $10 and $20, and a lunch menu can run as cheap as $7-10 for three courses (including wine). For dinner, it’s possible for two people to eat out for $15. The only downside to the rural Algarve is getting around. Public transport is possible, but prior preparation is needed, and renting a car is definitely easier. As Albania’s third largest city, Vlorë is relatively unknown to foreigners. 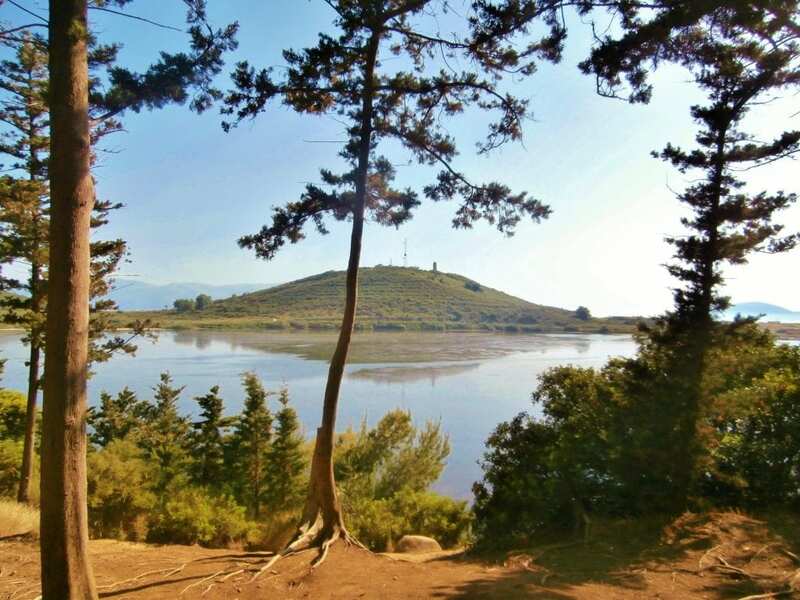 While on the whole Albania is very doable on a tight budget, Vlorë has an amazing range of whole-apartment Airbnbs with a sea view for under $20. Make it your base of operations for exploration of the Zvërnec peninsula, the ruins of Oricum and Kaninë castle, and the recently opened Karaburun-Sazan national marine park. Head south along the coastal road and you’ll find the fantastic beaches of Dhërmi and Himarë if you wish to venture further out. So how does the Albanian Riviera compare to the French one? Well, one will leave you bleeding your cash and the other will leave you well-fed and happy. I sit here in Kotor and can’t help but think back to Sarajevo where I spent 10 glorious days. I spent about 18 euro a day without thinking about it. I stayed in dorms paying 7 – 9 euro/night, but you can find private rooms for 10 euro in the city center. I loved Sarajevo as it’s very walkable, with all the amenities you need, yet there are mountains surrounding the city where you can go on an adventure within minutes. The people smile as you walk down the street and are happy to have a chat. This can’t be said for all of Eastern Europe. In terms of food, you can eat at Bosna for as little as 1.50 euro and have a meal that will fill you up for half the day. There are a lot of cafes and restaurants offering good sized (and quality) meals from 2 – 3 euro. Beer will cost you 1.50 – 2.50 euro in most places and a tram or bus ride is less than a euro regardless of the distance. Now, if they only banned smoking inside the bars. For few years now Ukraine is a great value for money and probably the cheapest country in Europe. 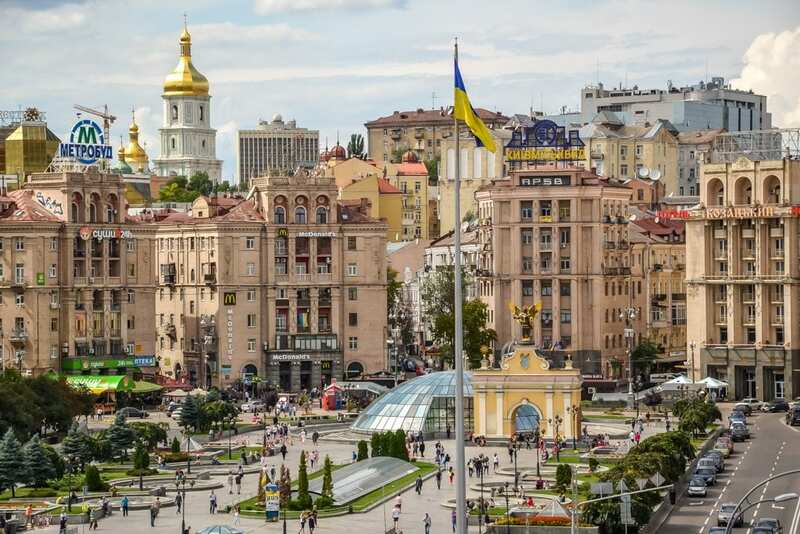 Its capital city – Kiev – is a perfect city break destination where you can enjoy high standards for little money. The city really has a lot to offer, the variety of activities is enormous there and everything is more than affordable. Top things to do in Kiev include visitng golden dome churches (part of UNESCO World Heritage List), impressive Soviet architecture and one of the best street art scene I’ve ever seen! When it comes to the prices you can find a decent accommodation for less than $20 and get a solid lunch for $5, the metro ride is just $0,20. I’ve been to Kiev some 5 times and already have more trips planned. I just love the vibe of the city, all the opportunities it has (whether it’s a stunning architecture or cheap but delicious international cuisine) and well, the prices! Gutach is a small town positioned in the centre of the Black Forest region of Germany. With its central location, it is the perfect spot from which to explore the Black Forest on a budget. 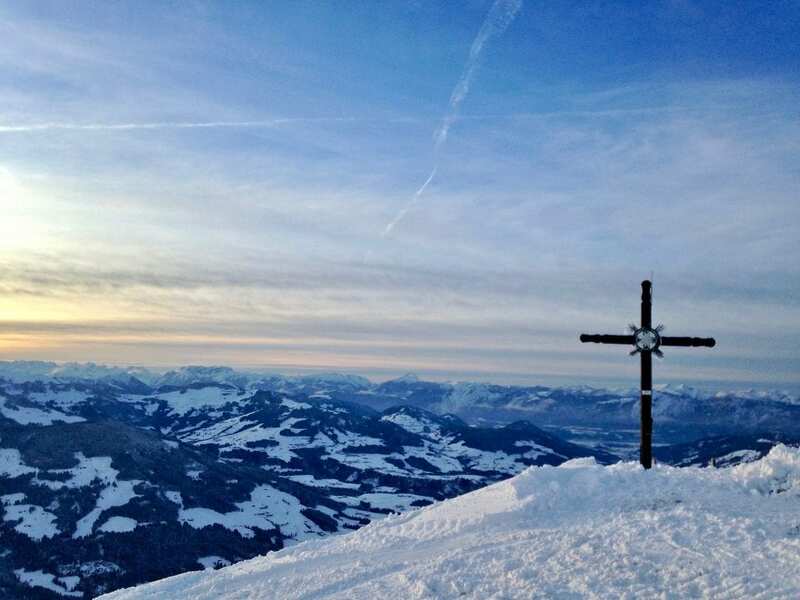 The Black Forest is home to some of the best scenery in Germany, tree-covered hills and green valleys give way to small villages, inviting beer gardens in the summer and traditional Christmas markets in the winter. Most accommodations provide guests with the Konus Guest Card. This card allows free transportation on local trains and buses, as well as free or discounted admission to many local attractions. The most notable of which is the Black Forest Open-Air Museum. 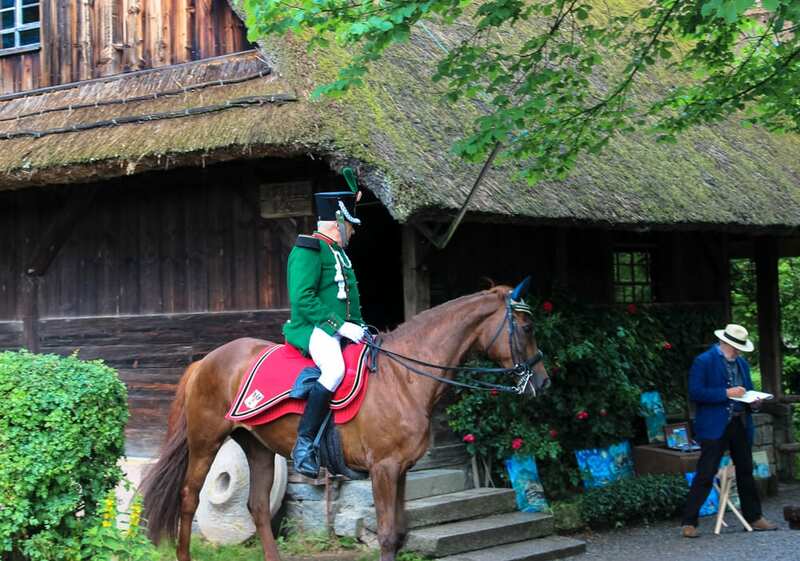 A number of historic buildings have been brought to the site of the well-preserved Vogtsbaurnhof farmstead to recreate life in the Black Forest as it would have been in centuries past. When visiting the Black Forest stay at a farm stay, known in German as an ‘Urlaub am Bauernhof’. Essentially a bed and breakfast on a working or hobby farm they are very good value for money. We stayed at Joklisbauernhof farm stay. For 15€ a night, per person, we were given a comfortable ensuite room and a hearty breakfast. Our hosts were even happy for us to take any leftover rolls and cold-cuts to be eaten later for lunch. With a low-cost supermarket nearby and a communal kitchen, a wholesome dinner was prepared for only a few Euro. Enjoyed with a 2€ bottle of German Riesling and a view to the cloud-capped mountains across the valley, there were no sacrifices to be made here. Our hosts were even happy for us to take any leftover rolls and cold-cuts to be eaten later for lunch. With a low-cost supermarket nearby and a communal kitchen, a wholesome dinner was prepared for only a few Euro. Enjoyed with a 2€ bottle of German Riesling and a view to the cloud-capped mountains across the valley, there were no sacrifices to be made here. While Austria is certainly not the cheapest place in the world, Heiligenblut is an absolutely idyllic town that can you visit on the cheap. There’s so much nature around that the best thing to do is grab your tent and find a nice secluded place to camp. 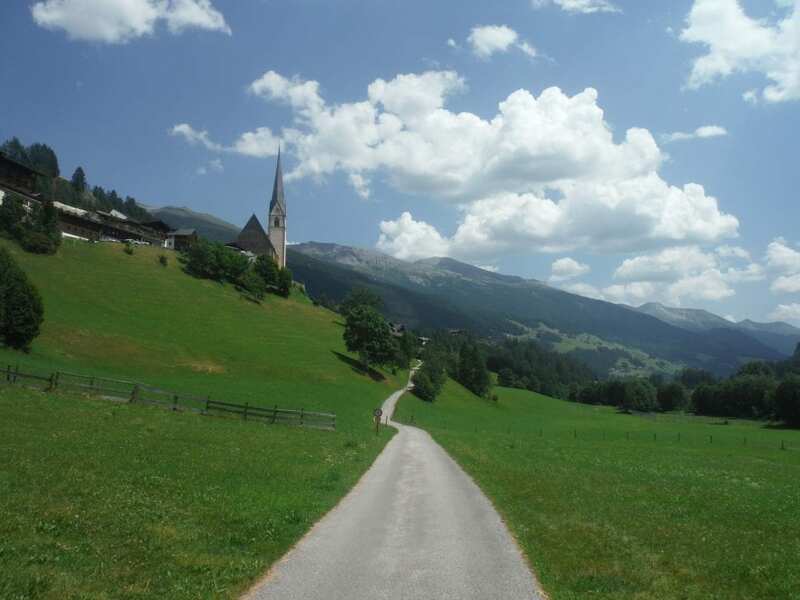 The town is surrounded by hikes, and is even home to the tallest mountain in the Eastern Alps! If yyou get your food from the grocery store and camp, and you can stay well below $40 a day while enjoying the majestic scenery that only the Austrian Alps can offer! Most travellers that come to Poland tend to only visit the city of Krakow, and while it is certainly beautiful, is also an extremely popular destination and it can get crowded. A great off the beaten track alternative in Poland is to visit Wroclaw, conveniently located between Berlin and Krakow. Wroclaw has a large population of young people, and there are many great things to do in this beautiful city. I spent my days wandering around the beautiful Old Town (keeping an eye out for the many dwarf statues! ), eating delicious and cheap food, gazing at street art and simply getting swept up in the fantastic atmosphere that Wroclaw has! A basic private room in Wroclaw through Airbnb will cost around €15-20 and there are many great cheap restaurants where you can get a good meal for €4-5. Most of the sites in Wroclaw are free to explore and there is even a number of free walking tours that you can take to delve deeper into the history of the city. There are plenty of hidden gems in Spain, and Cabo de Gata Natural Park is definitely one of them. 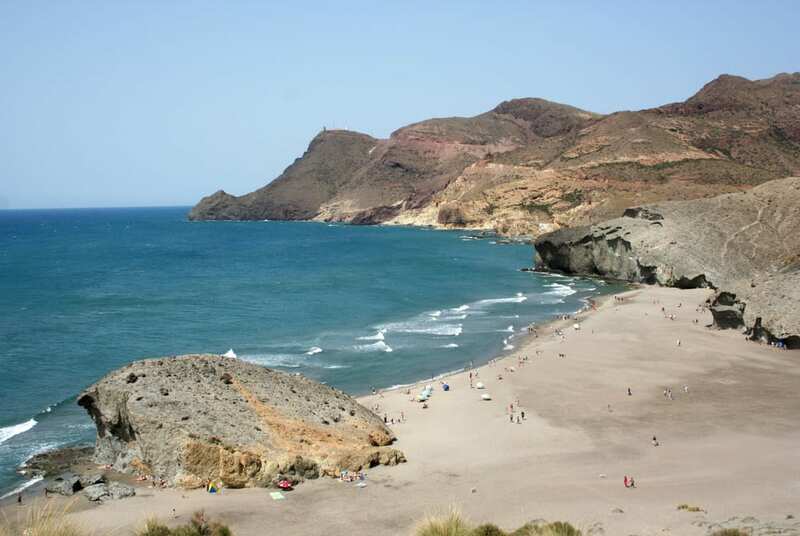 Cabo de Gata Natural Park is located in Almeria, in the southeastern part of Spain. It’s Andalucia’s largest coastal protected area, boasting wild and isolated landscapes with original geological features. The park was formed due to volcanic activity. Thus, it features black sand beaches, huge cliffs, and sharp peaks. In addition to the stunning landscapes, many traditional villages are scattered throughout the region, giving it a unique atmosphere. Because it’s a protected area, those villages have managed to maintain their local style. Most of them have narrow alleys and small houses, all painted white. I love Cabo de Gata because it’s a quiet place, a great destination for nature lovers who want to walk along the hills and enjoy the beach before returning to town and eating some delicious “tapas”. If you compare it to other regions in Spain, you’ll find that it’s still very affordable. You can find a basic two-person room for $25, and get a meal for less than $8. Moreover, every time you ask for a beer or another drink, you’ll get a “tapa” for free! 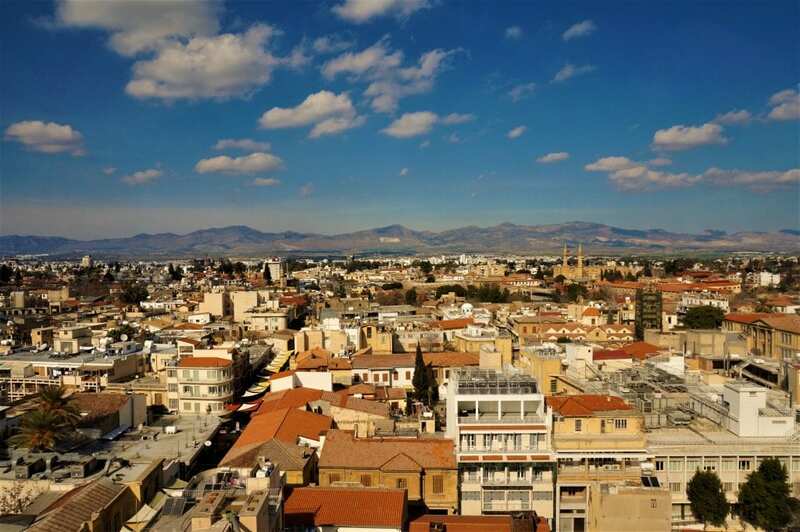 Nicosia is a very affordable destination with lots of great things to see and do. The city is divided into two parts by the United Nations and each side has a very different culture. In the north, you will find Turkish food, mosques and Turkish lira as the official currency. However, the south serves wonderful Greek food and has a much more European feel. You will be asked for your passport when crossing the border, but you can do this as often as you like. There are double rooms available in Nicosia from around €35 in the city centre or good value Airbnb properties for less. Food is very affordable and there are lots of really cool cafes in the old town. We found the north cheaper than the south side of the city. Lahmacun and burek (€2-4) are cheap lunch options on the go and a meal in a restaurant costs around €8. 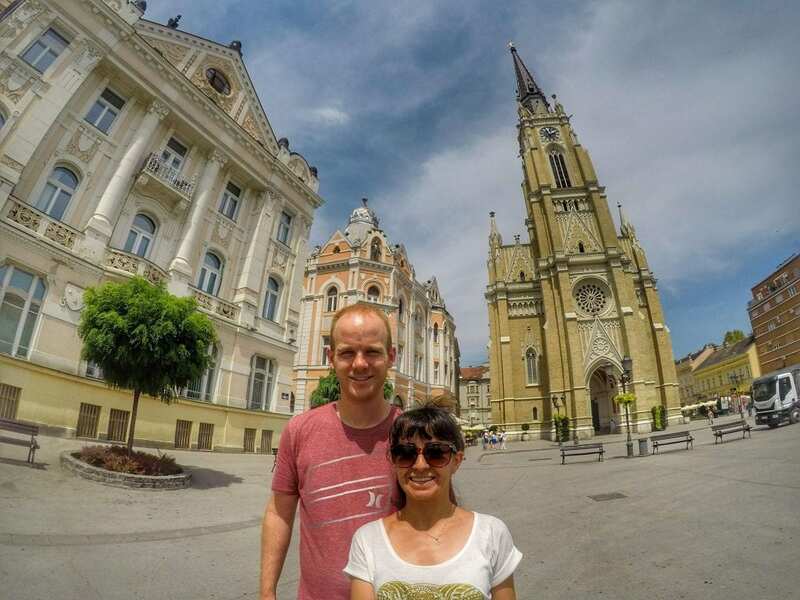 After our visit, we find ourselves always talking about how underrated Novi Sad is as a European city. Prior to meeting our Serbian friends, we had never even known of this cool Eastern European town, let alone consider visiting. We didn’t really have any expectations other than spending some time with our friends but once we arrived, the town really impressed us and the costs made us wish we were staying longer than two days. The chill vibe in this laid-back town was what really made an impact on us. We loved hanging out at Liberty Square. You’ll find that locals gather here with friends, their families, and loved ones so it makes you feel like you’re experiencing the “real” Novi Sad rather than one catered towards tourist for the purposes of making maximum profit from visitors. During the time we were there we ate at upscale restaurants where a meal (including a bottle of wine!) for four adults only cost $68 USD. You can imagine that it would only be cheaper from that if one wanted to be more conservative. Our accommodations were also luxurious without breaking the bank. Our 3 bedroom Airbnb apartment in the heart of the historic center and walking distance from Liberty Square was under $40 USD /night. Using that as a reference on the high end just shows how much cheaper you could find for something smaller. Everyone is crazy about Cinque Terre, and for a reason: the 5 coastal villages are among Italy’s prettiest sights, and when summertime comes, they become crazy busy! A great alternative to staying in Cinque Terre is Levanto, another amazing seaside town right next to Monterosso, the westernmost Cinque Terre village. Staying in Levanto is far cheaper than in the Cinque Terre villages, and you can always head to Cinque Terre by train! There is also lots to see and do in Levanto itself, with many adventure activities available. 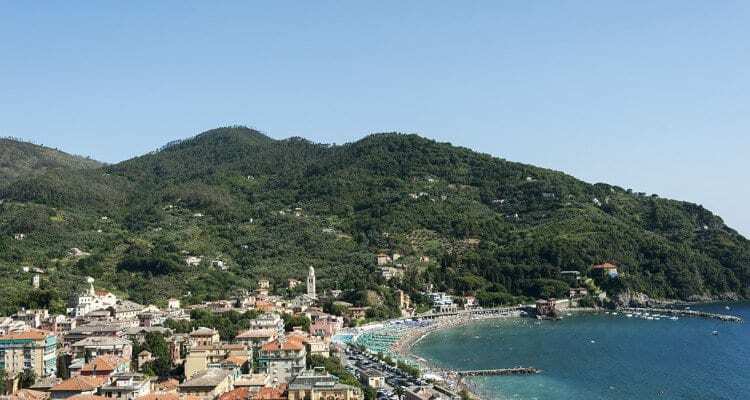 You can go hiking, cycling, ebiking, diving, paddleboarding and even surfing–Levanto is one of the best places in Italy for finding a reliable surf. Outside of the busiest month of July and August, you should be able to get a double room or Airbnb for under $50, and food won’t break the bank – a tasty slice of focaccia can be enjoyed for only a couple of euros! 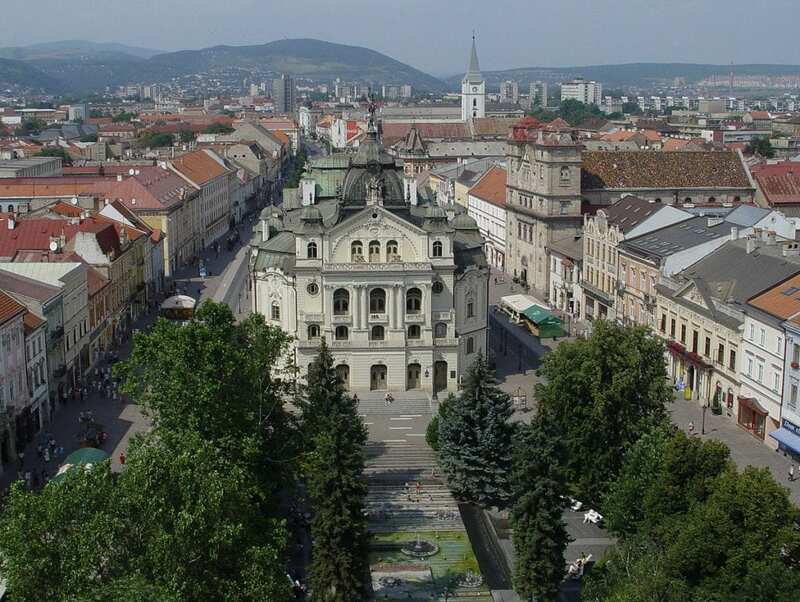 Kosice is the second biggest town in the Eastern part of Slovakia. The center of the city is pretty small and walkable in one day, but you will fall in love instantly and want to walk by all of the places again. In the middle of the old town, you can find St. Elizabeth’s Cathedral which is a must-see while in Kosice! I really enjoyed the views from Cathedral’s tower as well, and it cost only 3 euros. Right next to Cathedral you can find a singing fountain and a beautiful theatre. If you are the fan of sports, make sure you stop at Peace Marathon Square which is the oldest in Europe, and the second oldest in the world. Once you walk the main street, head to small side streets like Kovacska, Hrnciarska and at the end of Mlynska visit majestic Jakab’s Palace. The city offers various places to eat with cuisines from all around the world. Lunch menus cost only 3-5 euros and dinner will cost you around 5-7 euros. For the most traditional kitchen, head to the restaurant called “Mlyn” which is highly recommended by locals and me as well. Prices of the hostels start at 10 euros and private rooms are around 20 euros, depending on the season. Prizren, Kosovo is one of the best budget destinations in Europe to travel comfortably on a budget in. This historic city is perfect for those doing a Balkan trip who are interested in history, hiking, and culture. 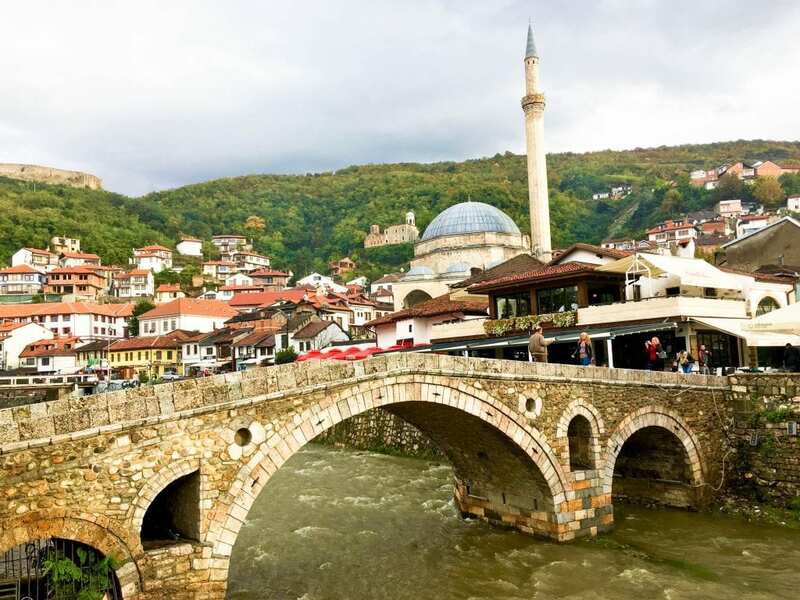 Prizren was an Ottoman city and you can still see some of the influences in its architecture. You can visit beautiful mosques, climb up to the fortress for an epic view of the city, and go hiking in the nearby Sar mountains. Buses in Kosovo cost around 5 euros from Pristina. A hotel room is in the 20-35 euro range for a central hotel while you can have a hearty meal at a local restaurant for 5 euros. Cafe culture is strong in Kosovo, so you’ll find affordable and tasty coffee shops to hang out in at night for a few euros. 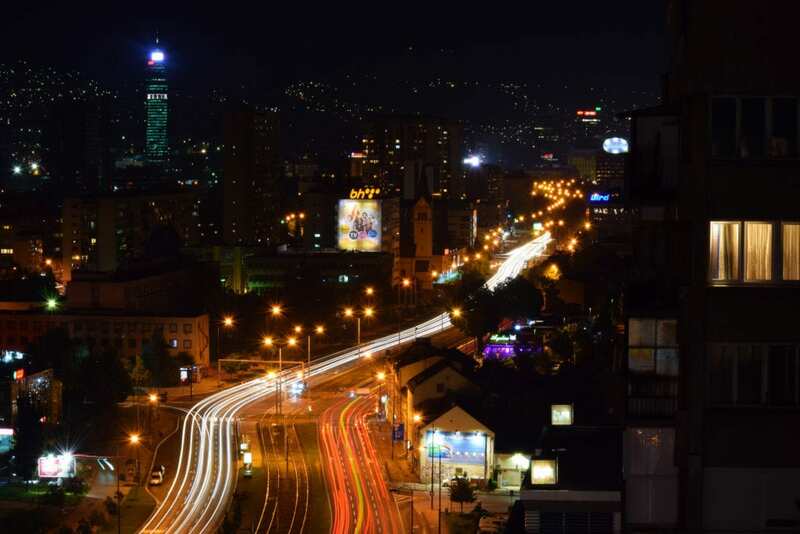 If you’ll be in the Balkans, be sure to add Kosovo to your itinerary! The compact medieval city of Ghent, with its cobbled streets and fairytale charm, is often overlooked by travellers who make a beeline for Bruges. 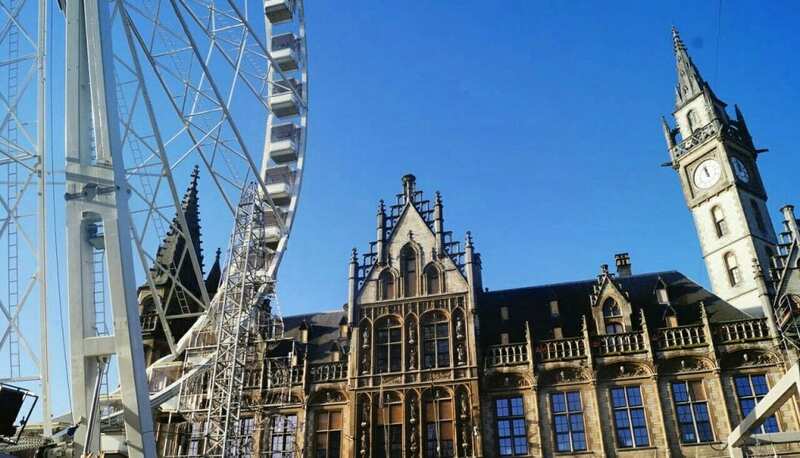 But less than a 25-minute train journey away from its dominating neighbour, travellers are can discover the quaint canal-side architecture, edgy art scene and quirky bars of Ghent, with fewer visitors and cheaper accommodation. To keep costs down, but still experience the city in a festival season, January is the time to visit. The Winter Festival is on embracing all things Christmas with sparkling light displays, traditional festive markets, an ice-rink, grotto and Ferris wheel. You can also visit Gravesteen (the medieval castle overlooking the city, showcasing weaponry and torture devices), take a boat trip around the central district, climb the Belfry on a clear day for panoramic views, or visit one of the superbly designed museums. An absolute must do is to hire a bike and tour the city’s vibrant street art. Pick up a free Concrete Canvas Tour map from the Information Centre and follow the 14.5km self-guided tour. The artwork is forever changing as this is a city where street artists are free to decorate as they please. We used Airbnb to keep accommodation costs down and still stay within a 20-minute walk to the city center. For food, enjoy a Bratwurst ($5 USD) or waffle ($3 USD) from a market stall. Bike hire costs $3.50 USD for 8 hours, with a registration cost of $14 USD. For hiking lovers who really want to escape the crowd in Europe, Vent is the ultimate place to go. This tiny village with only a handful farms, a couple hotels, some guesthouses, and a church is situated at the end of a road up into the mountains close to the Italian border. This Austria town is a world-class hiking destination and the perfect base if you want to hike up to the highest mountain in Tyrol: the Wildspitze. Most hikers start early in the morning to for a 8-10 hour hike with almost 2,000 altitude meters and a length of 17 kilometers. The views up on top are to die for and the best of all this is a free activity. Make sure you are well equipped this is not an easy hike! Vent is a popular place in either summer or winter, but price levels are a little lower during winter. To stay overnight in Vent we paid just under $20 per person/per night, and meals including drinks won’t cost more than $10. After our second visit to Hungary when we spent two weeks enjoying all that Budapest has to offer, we are still as crazy about it (and its prices!) as ever–among summer European getaways (or any time of year, really), Budapest will always rank as one of our favorites. 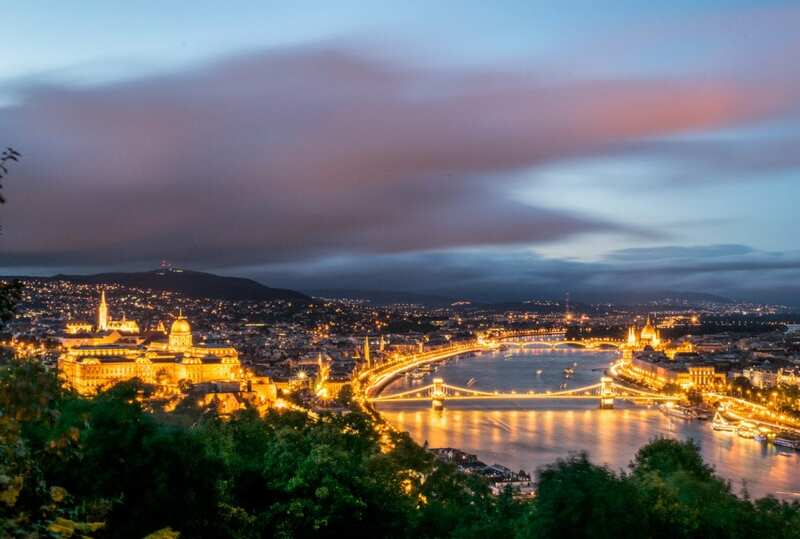 Whether you’re looking for delicious food, captivating history, stunning architecture, Budapest’s photogenic sights, or offbeat exploration, Budapest has it all. Best of all, the city has enough to do that it is the perfect place for a longer stay–and slower travel is almost always cheaper travel. Our Airbnb was one of our favorite bargains in Budapest–for a total cost of $43/night (including taxes and fees! ), we stayed in a gorgeous renovated apartment just a couple of blocks away from St. Stephen’s Basilica. Transportation is also very affordable, with one week passes to Budapest’s transportation system (buses, trams and subways) running less than $20/person. Some items are a little more of a splurge–a visit to one of the better-known thermal baths will set you back almost $20/person–but affordable travel is very accessible in Budapest, and the city is absolutely worth a visit! For something even more off the beaten path, try out some of the hiking trails near Budapest–they won’t disappoint! Don’t travel to Europe without travel insurance! We use and recommend World Nomads for their affordability, ease of purchasing & the clarity of their contract! Some links in this post about affordable European getaways are affiliate links. If you click through one of these links, we may earn a small commission at no extra cost to you. We are committed to only ever recommending products and services that we personally use and like. Oh wow what an excellent idea! Thanks so much for putting together this list of recommendations, I’ve had times I could have used it already on a long Europe trip but glad that I’ll at least have it for future! Ghent as a sort of budget version of Bruges sounds very interesting and picturesque! and also Levanto as an alternative to Cinque Terre. Actually they all sound so good I can’t choose! We’re actually in Bruges for the first time right now, and picturesque is definitely the right word for it! We feel like we’re walking around inside a Christmas card. Wow, so many offbeat European destination ideas! Think my list would be Tallinn, Borovets, Rural Algarve Coast, Kiev, Heiligenblut and Budapest. Spoilt for choice here! Same! 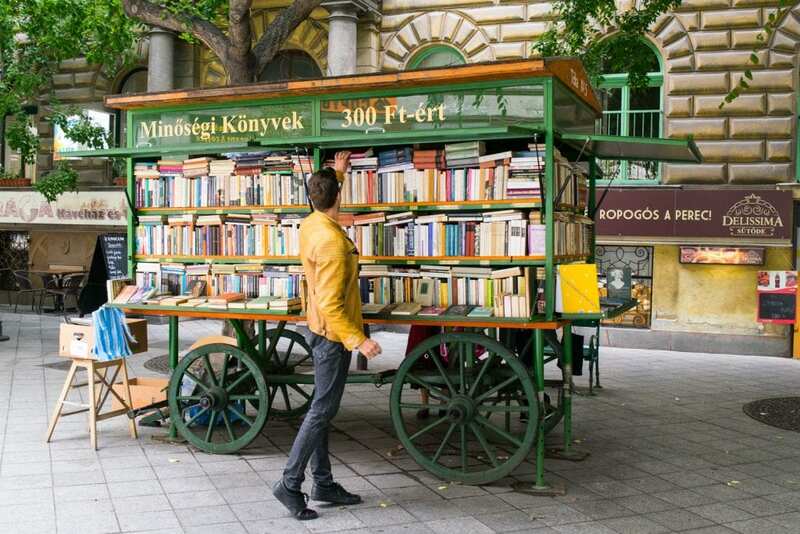 We’ve been to Budapest, of course, but several of these have been on our list for ages, including Tallinn and Kiev! Wow. This is such a detailed yet perfect getaway list I’m yet to come across. I can’t seem to even favorite any city as all cities appeal to my traveling and getaways sense. Europe is really beautiful. I should get enough inspirations from this post to build my 2018 to visit list. Ans iys a good idea that mosyof these cities can be traveled to while on budget. But I’d love to start with Poland first. Thanks for this list. Poland looks so beautiful–the only place we’ve been there is Krakow, and we would love to explore more! You have listed really beautiful ideas that too in budget. As traveling is an expensive affair, Budget friendly destination with stunning attractions are always desirable. I would love to go Romania and Bulgaria. Thanks for sharing! We loved our brief time in Romania, and would love to explore it more in depth and visit Bulgaria as well–they both look gorgeous, right? These tips are so great for budget travellers. I’m from London, so I’m used to the prices, and love staying in cheaper European cities. So funny to see an Austrian city on the list; it’s usually as expensive as London! Agreed, we always think of Austria as expensive as well–but since we haven’t been there yet, we need to go find out for ourselves! You have got such a lovely compilation here. I cannot even pronounce few names and had absolutely no idea about them. I got to bookmark your post for when i plan my European trips. It will be difficult to find such a clean and crisp awesome list. Glad to hear it will help with planning! I can’t pronounce all of these either lol–my favorite kind of destination! This is such a wonderful list and really captures the quaintness of Europe. Most of the places I agree with, they are small, really pretty, and are amazing to travel to, and some places I had no clue about so I shall look forward to visiting them soon. I especially like that these places are “affordable”. Thanks, Raghav! Europe definitely has a lot of beautiful spots. Oh my, there is so much to see and explore yet. Unfortunately, we haven’t been to any of these places except for Ghent and Budapest and each of the above is equally stunning places we would love to visit and explore. Algarve is no doubt one of the gorgeous places we missed due to lack of time and Bosnia & Herzegovina is a place top of our bucketlist. Thanks for this post and sharing some wonderful places to add to our bucketlist. Bosnia is such a fun place to travel–we went to Mostar & Sarajevo and loved them, though we’d love to visit some of the smaller towns too. Hope you get a chance to go soon! We’re going to Ghent in just a few days! As for offbeat, it’s all based on where you’re coming from! Coming from the USA, very few travelers from our neck of the woods make it out there. 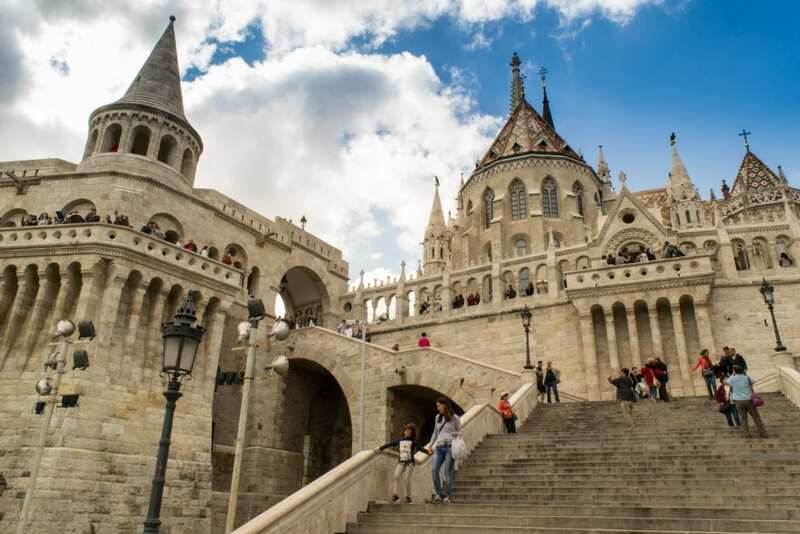 Personally, we still think the crowds are small–it’s better known now than 10 years ago, but the only places that we’ve seen get congested on either of our trips are Fisherman’s Bastion and the areas surrounding it! I can’t believe Cluj-Napoca is the second largest city in Romania. If I hadn’t been to Timisoara a couple months back, never would have heard of it. But now I wanna go. The other one on the list that jumps out is Wroclaw. Of course, I want to return to my contribution, Sarajevo too. 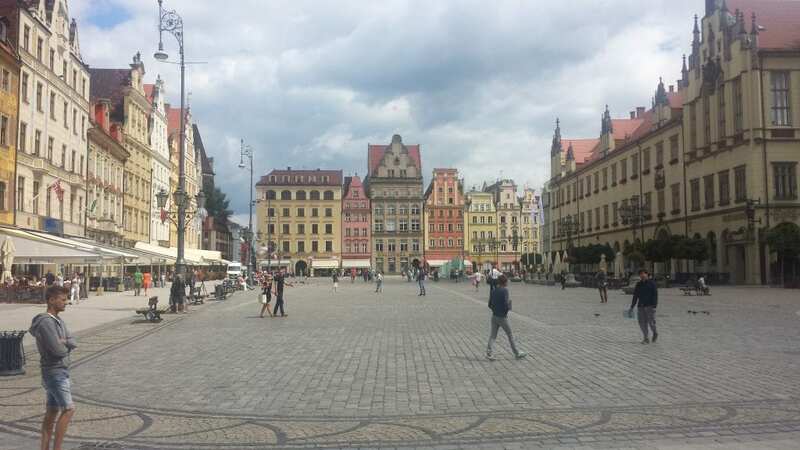 Wroclaw looks great to us, too–we’d love to go back to Poland! We definitely loved our time in Sarajevo, and their prices! Oh, I hope you love Ukraine! It’s high on our list of places to visit when we get the chance. Europe definitely doesn’t have to be expensive–we’re pleasantly surprised by how little we spend in most European countries, but that’s probably partially because we build it up as expensive in our heads! Trying to put together a trip to Austria and either Budapest or Prague in May/June for my son’s high school graduation trip. Your tips are great as we are looking for more affordable travel than what we have seen with the packages offered on some of the travel websites. Wow! Great information and photos. Thanks, Mike! Glad to have you around. Europe has so much to offer! Every little spot has it charming vibe. Keep the good content coming! Loved it! Thanks for sharing so much of detailed information in one article, you guys are amazing I also want to be a full-time traveler when I grew up at least after 20 maybe. keep traveling, god bless. Thanks, Claire! Good luck with your future travels!